Attorney General Bill McCollum's first order of legislative business is to go after attorneys -- and he's hoping the third time will be a charm. It's one in a series of tort-reform initiatives that will pit business interests against the trial bar at the 2010 session. Topping McCollum's list of priorities is a bill that would limit the Attorney General's Office from entering into contracts with private attorneys to represent the state. Senate Bill 712 is sponsored by state Sen. John Thrasher, R-St. Augustine. Thrasher, a former House speaker and newly ensconced chairman of the Republican Party of Florida, has been a longtime advocate of tort reform. SB 712 and companion House Bill 437 by Rep. Eric Eisnaugle, R-Orlando, aim to curb what many lawmakers consider to be excesses by privatizing the state's legal work via contingency fees. In the high-stakes fight against Big Tobacco, for example, Florida paid private litigators up to $120,000 an hour to sue cigarette companies. Though the Attorney General's Office has the authority to use outside counsel through contingency-fee agreements, critics argue that such arrangements lack control and transparency. 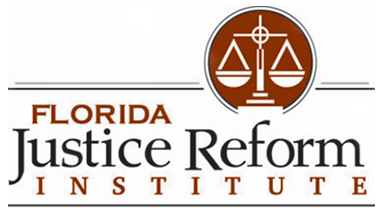 "Compensation comes out of the state's coffers without first going through an appropriations process and is subtracted from judgments awarded to the state for damages incurred by the people of Florida," says William Large, president of the Tallahassee-based Florida Justice Reform Institute. "Allowing private attorneys to sue on behalf of the state's attorney general shifts the power into the hands of private attorneys, who are then given a pecuniary interest in the outcome of the legislation." Noting that the state shelled out a whopping $3.4 billion in attorney fees in the battle against Big Tobacco, Large says checks and balances are required. Require the attorney general to make a written determination that representation by a private attorney is both cost-effective and in the public interest. Mandate that private legal services engaged on a contingency basis be competitively procured, if feasible. Impose an aggregate contingency of 25 percent of any recovery up to $10 million; plus 20 percent of the next $5 million in recoveries; plus 15 percent of the next $5 million in recoveries; plus 10 percent of the next $5 million in recoveries; plus 5 percent of any portion of the recovery that exceeds $25 million. Set a $50 million cap on contingency fees. Order that payment of contingency fees be posted on the attorney general's website within 15 days and remain posted for at least 180 days. McCollum, the leading Republican gubernatorial candidate, has not signed any contingency agreements during his term as attorney general, said spokeswoman Sandi Copes. His previous efforts at reform have been beaten back by trial lawyers in the Legislature, Copes said. Thrasher has also taken heat from the trial bar, which spent $1 million in an unsuccessful effort to derail his bid for Senate. Noting that pieces of McCollum's package passed the Florida House of Representatives last year, Majority Leader Adam Hasner, R-Delray Beach, said, "There is a significant appetite in the Florida House of Representatives to work with General McCollum in passing these reforms." McCollum's plan already has won the backing of fellow State Board of Administration members Gov. Charlie Crist (a former AG) and Chief Financial Officer Alex Sink, a Democrat. The board has agreed to implement his proposed contingency reforms in its legal dealings. McCollum's initiative has the enthusiastic backing of the National Federation of Independent Business-Florida, which calls skyrocketing legal expenses a double-whammy for the private sector and the taxpayers. By way of comparison, the NFIB noted that the 2003 Legislature enacted reforms that limited attorneys' fees in workers' compensation cases. The frequency of claims and lawsuits plummeted, culminating in a 60 percent decrease in workers' comp premiums over five years. In October 2008, however, the Florida Supreme Court lifted the cap on attorneys' fees, effectively returning the state to the pre-2003 workers' compensation system. Then, in 2009, Legislature reinstated the attorney fee provision cap and workers' comp rates declined again. Trial lawyers have vowed to fight that attorney fee provision again -- and expect them to fight McCollum's measure, too. John Morgan, a national personal-injury attorney who heads the firm of Morgan & Morgan, with offices throughout the state, calls McCollum's legislation "a political stunt" and a "b------t bill" that will be opposed again this year. "It's red meat for the right-wing constituency, but you don't need this legislation. The attorney general can negotiate these terms right now. If he can't, God help us all," Morgan said. The legislative battle promises to widen with the introduction of other tort-reform measures introduced this session. Sen. Andy Gardiner, R-Orlando, is sponsoring SB 1224, which would make it tougher to win judgments against businesses in so called slip-and-fall cases. The senate bill, along with HB 689, would require injured persons to prove that a business establishment had actual knowledge of a dangerous condition and should have taken action to remedy it. The bills seek to ease the effect of cases like Owens v. Publix (2001), in which the Florida Supreme Court ruled that the mere existence of a substance or object on the floor "creates a rebuttable presumption that the premise's owner did not maintain the premises in a reasonably safe condition." "Reinserting a logical standard of constructive notice will help protect Florida businesses from abusive and unduly expensive litigation, without jeopardizing the meritorious claims of patrons," FJRI's Large said. Morgan disagrees. "This will simply result in a bunch of dirty stores with unsafe conditions." "But legislators will vote for it because Winn-Dixie and Wal-Mart are big contributors," he added. Philip DeBerard, a Stuart-based attorney, suggests that the bills are an over-reaction by companies that cut corners. "We're not talking about random spills at stores, but about refrigeration units that leak onto the floor day after day. Companies need to think about customer safety." Sens. Garrett Richter, R-Naples, and Mike Fasano, R-New Port Richey, are sponsoring SB 744, which wouldredefine the terms "negligence action" and "products liability action" and require courts to consider the fault of all parties to an accident when apportioning damages in a product-liability case alleging additional or enhanced injuries. Along with HB 433, SB 744 would "ensure that in all product-liability cases, the jury has the opportunity to consider the fault of those who caused the accident, as well as continuing to consider the fault of the manufacturer for any alleged defect which cause greater injuries," Large said. "Otherwise, juries will continue to decide cases in a vacuum, with the fault of the truly responsible party hidden from view, allowing plaintiff's attorneys to once again unfairly target the business community for their own personal gain," he added. DeBerard discounted the need for this legislation, saying, "You can't hide guilty parties. It all comes out of the judgment."